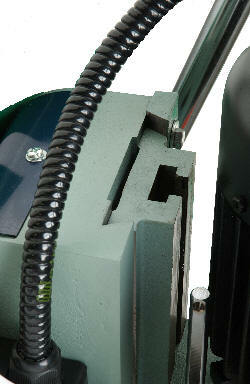 With the Mpower Type M1 Morticer you can be sure of quality mortising results. When efficiency, accuracy and cleanness of cut are critical demands of your morticing jobs, then the Mpower Type M1 is the obvious choice. 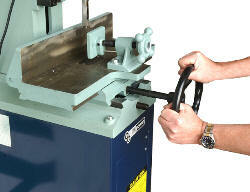 The Type M1 is a quality engineered, cost effective machine with a big capacity of up to 25mm mortises. The heavy cast-iron construction of the column, table, base and cross slide provides maximum stability. Specially designed for precise, trouble free and long life operations, special attention has been paid to health and safety regulations. This machine will provide excellent morticing results when applied in woodworking plants to manufacture furniture, sashes and doors…etc. 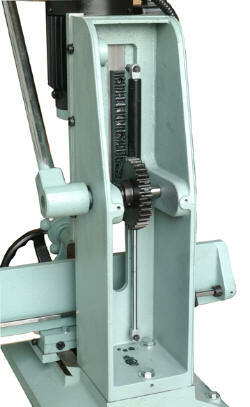 With the Mpower Type M1 Mortiser you can be sure of quality mortising results. The long operating lever controls the morticing head downfeed. 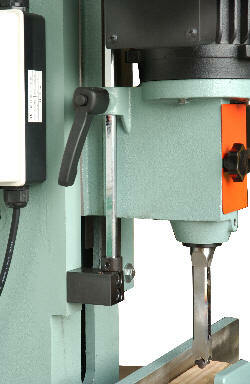 The angle of this lever can be altered to reduce operator fatigue. This specially designed single handwheel control for both longitudinal and lateral table movements ensures convenient, accurate and fast table adjustments. 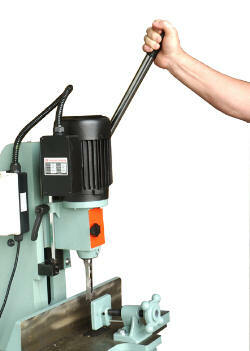 The chuck is directly driven by a 1HP motor for powerful morticing operations. 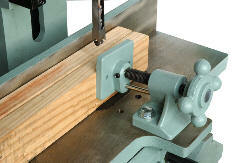 The chisel capacity is 25mm for soft-wood operations, and 19mm for hard-wood operations. 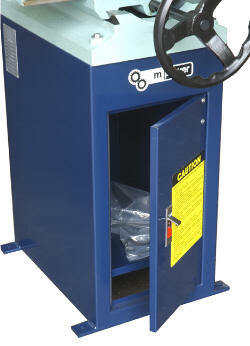 The clamp provides fast and secure clamping operations for a variety of stock sizes. Gas strut which replaces heavy weight. 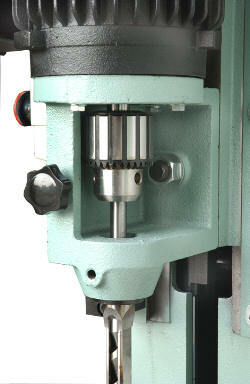 The morticing head is manoeuvred on a dovetail slideway for precision downfeeding. A depth stop is provided for accurate morticing control. The starter switch features thermal overload and no volt release protection.